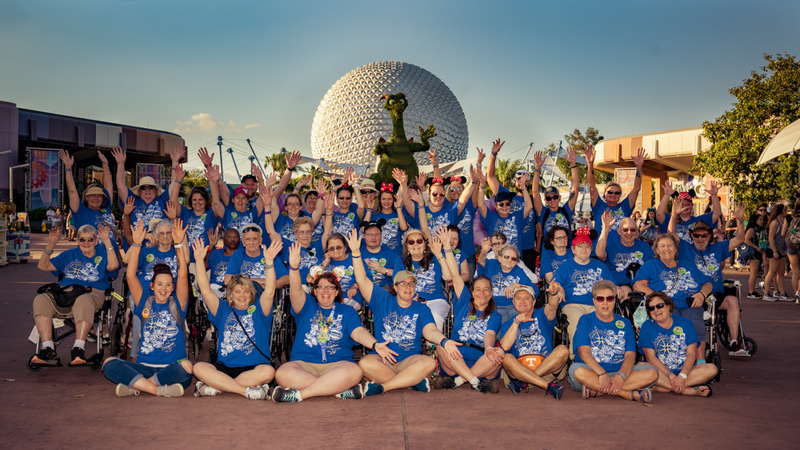 20 Elder Vacations: The Magic Continues! It’s true that time does fly when you are having fun. 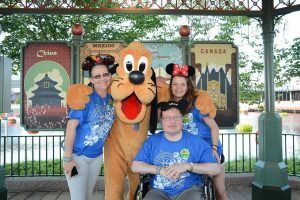 It seems like only yesterday that we were preparing for our very first Elder Vacation to Walt Disney World! Yet this week we were able to kick off our 20th Elder Vacation! 20 Vacations! That means over 1,000 Elders have been on vacations with us since 2011. Over the past 8 years we were able to serve in a capacity that I never dreamed was possible. 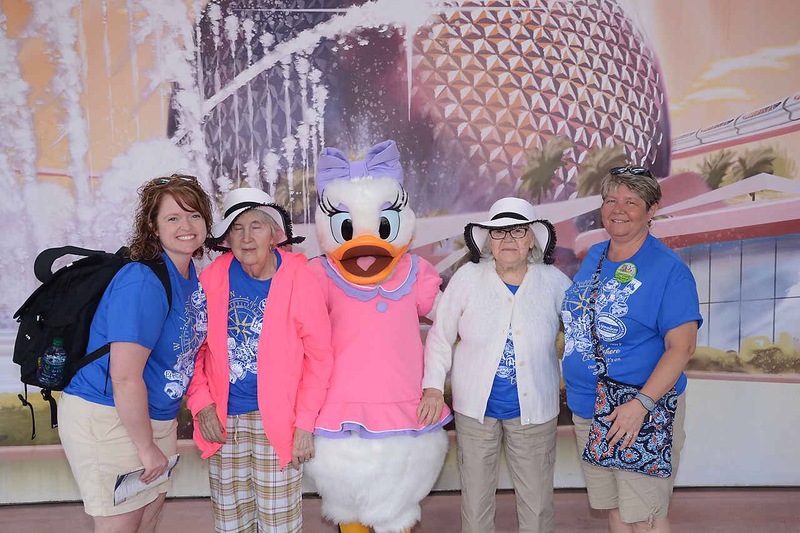 Our 20th Elder Vacation kicked off on Monday with a group of 63 Signature Healthcare Elders and Stakeholders arriving at Walt Disney World’s Grand Floridian. Excitement was in the air as everyone got settled into the resort for the evening. Many of the Elders gathered out at the marina for dinner and conversation while waiting for the fireworks display to take place! This morning everyone was up and ready for an adventurous day at Epcot! 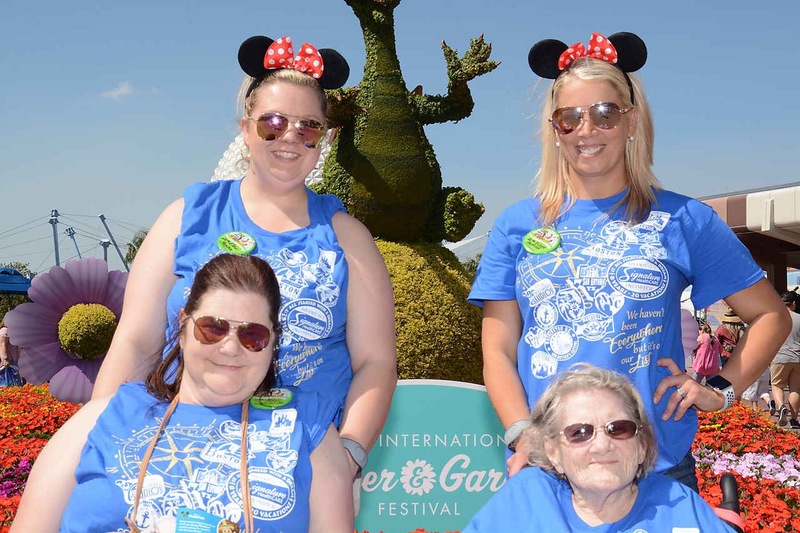 The Elders were excited to see the many bright flowers and topiaries decorating the park. They couldn’t wait to get the day started as many had come with a list of things they wanted to do. 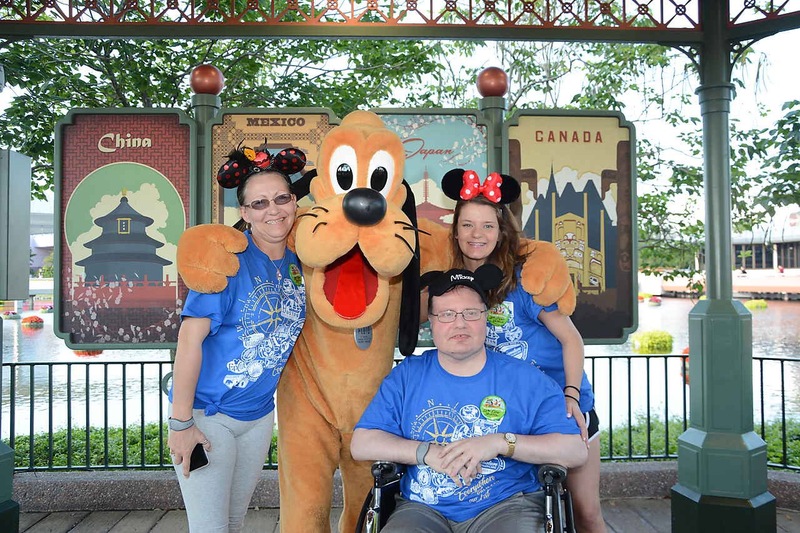 While a lot has changed since that first trip to Disney, so many things have stayed the same. For example, in 2011, I can remember standing in the Character Spot in Epcot crying as the Elders rotated through meeting all the characters. Today, the same thing happened. 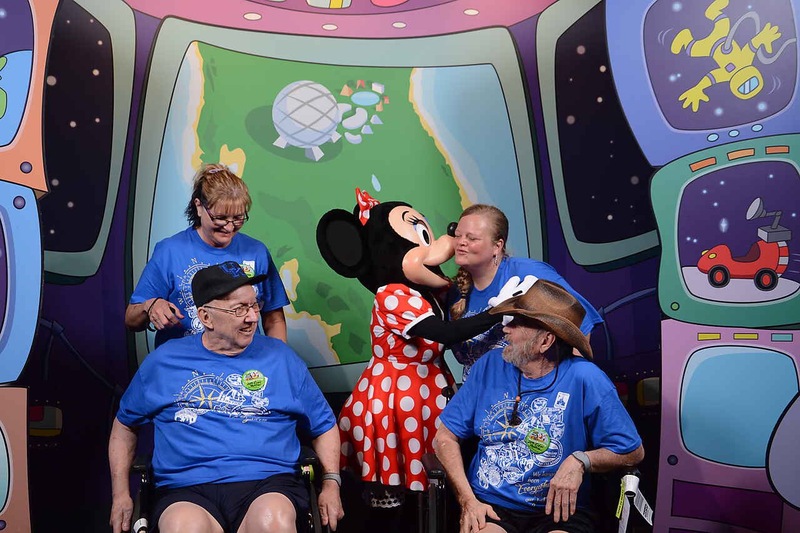 Raymond came to Disney with one goal in mind, to dance with Minnie Mouse. When she kissed him on the cheek and he took her hand and gave her a twirl, tears escaped down his face. Again, I found myself crying because the moment was so beautiful. Their joy and laughter was contagious as we met all the characters. The rest of the day was spent circling the World Showcase, trying a variety of snacks, taking in the shows and enjoying life together! We also enjoyed the evening at a special Fireworks Dessert Party in which we were able to enjoy our favorite desserts while taking in Illuminations! While the Elders are different, their dreams are still the same. Their desire to adventure beyond where they live is as strong as it ever was. Some want to ride the rides, some want to watch the shows, others want a dip in the pool and some desire all three. If I close my eyes, I can still see so many smiles over the years of different Elders. So much joy. So much love. In our short time together, they teach us how to truly live. 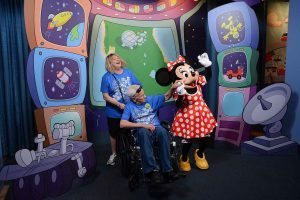 In 2011, I recall standing in Epcot with an Elder and him giving me advice that I now keep tucked safely in my heart. He said to me, “life has to be lived until it can’t be anymore. Don’t wait to do the things you want to do.” That advice has changed my direction in life on more than one occasion. As we start our 20th Elder Vacation, his message remains the same. We really only have once chance, so let’s make it count! Stay tuned as we hit the Magic Kingdom tomorrow! Amazing!!!! 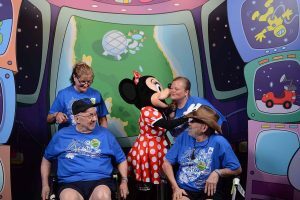 The Disney vacations are my favorite ones to “follow” you on. This just never gets old…….what beauty, joy and life is witnessed at these moments. So exciting to see the smiles and dreams come true and “the Most Magical Place” So glad our residents got to attend this vacation! The gentleman in the fourth picture down has absolutely stolen my heart. the last few years. This trip meant so much to him, letting him experience a different environment and try new things. These elders are precious, each in their own way. Thank you so much for allowing them this opportunity! Please share more pictures!